Pamela Zarkowski, J.D., provost and vice president for academic affairs at the University of Detroit, Mercy, presents “Go- Stop- Yield: The Intersection of Law and Ethics” on March 1, 2019, as part of the School of Dentistry’s Mirmelstein Ethics Lecture. The annual lecture is part of the school’s continuing education program. 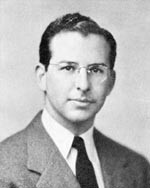 Cyril R. Mirmelstein graduated from the College of William and Mary then entered the MCV School of Dentistry in 1938. His education was marked by hard work and good friendships. “With a class of 28 guys, we were a close-knit group and many friendships endured for years,” he said. After earning his dental degree in 1942, Mirmelstein spent a short time as an instructor in the school before serving in World War II. When he returned from service, Mirmelstein entered private practice in Newport News, Va., and retired in 1990. Throughout his career, Mirmelstein served his profession, his school and his community through generous volunteer activities. A longstanding member of the Virginia Dental Association, he was also active with the State Board of Dentistry and served as the organization’s president and as a member of the Southern Regional Testing Agency. The MCV Alumni Association named him its Outstanding Alumnus in 1998 for his many contributions to his alma mater and to dentistry. Mirmelstein established the Cyril R. Mirmelstein Ethics Lectureship in 1988. His objectives were to educate and stimulate faculty and students to become aware of their responsibility to dental and professional ethics, to pioneer an ongoing program that would be effective in achieving these goals by stressing the satisfaction derived from the dental profession, and to establish an ongoing program that would gain national recognition and serve as a model for other schools. Through Mirmelstein’s generosity and imagination, the lectureship has grown, nurtured and supported new generations of students, and become an integral part of the school’s curriculum. To learn more about the school’s lectureships, professorships, special endowments and scholarships, visit Reflections, a special area of the school’s website that showcases alumni and donor philanthropy.